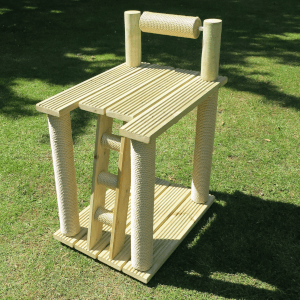 Designed to have a compact footprint so it takes up less space in cat runs and catios, this model gives your cat lots of opportunities to climb and scratch. 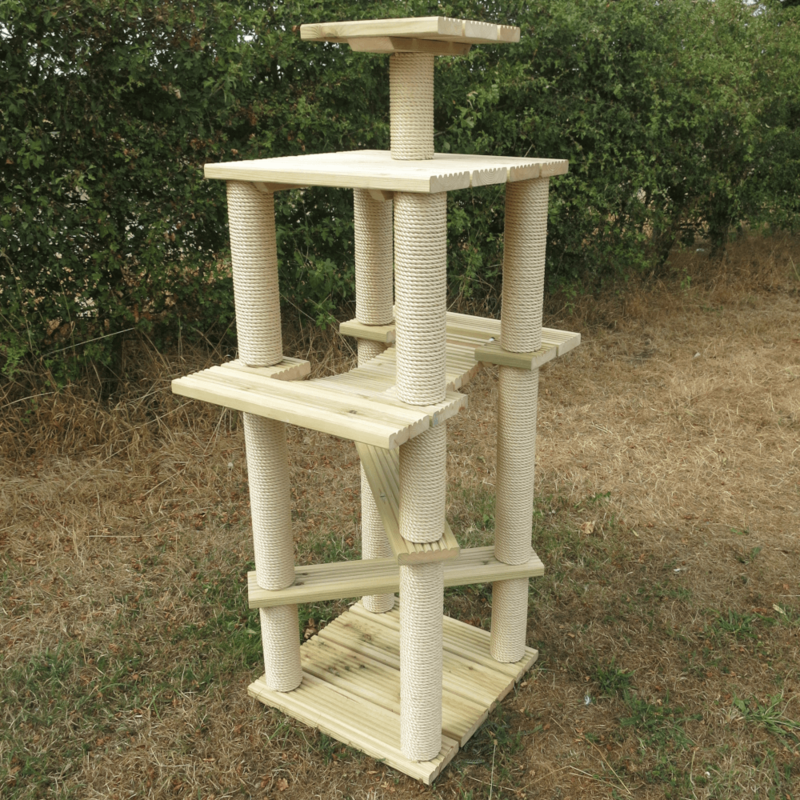 This scratcher is great for very energetic cats! 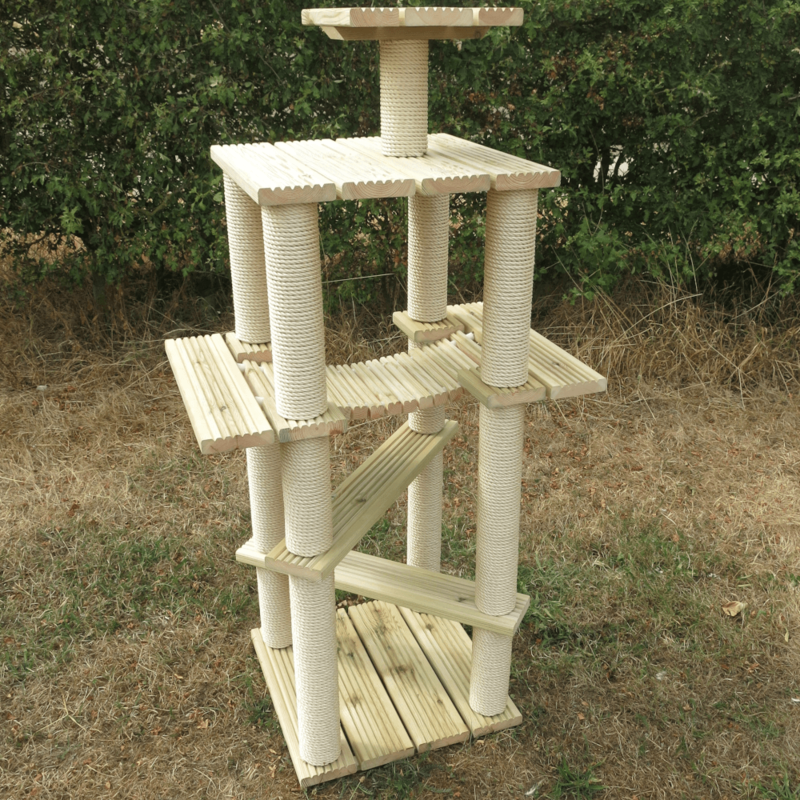 Or multi cat households. 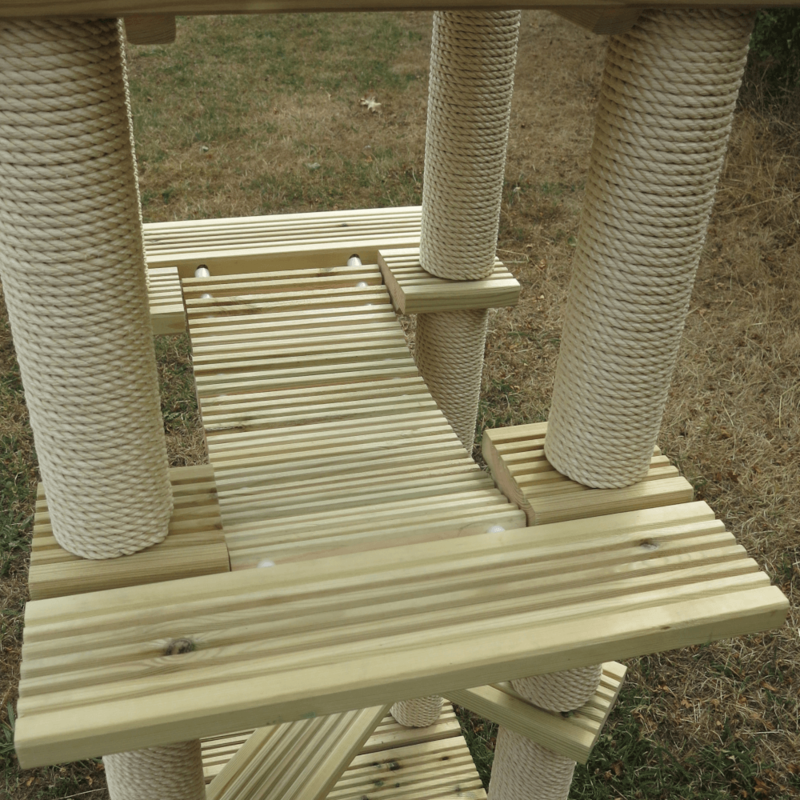 With lots of platforms for running around and jumping up and down, plenty of poles to scratch, and a rope bridge for the daring. 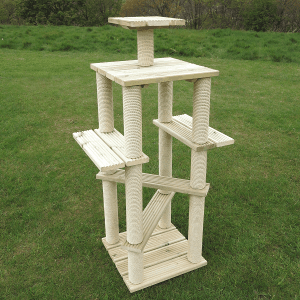 Made from tanilised timber, where all sawn edges have been treated, and Weathersafe rope, this cat scratcher is weather proof. 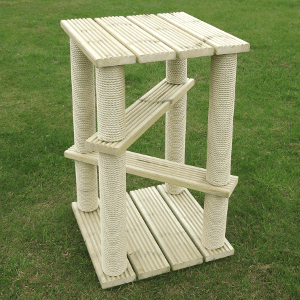 Unlike Sisal our Weathersafe rope will not go black outdoors meaning your cat scratcher will stay looking newer for longer. We can only make these products from March to October! 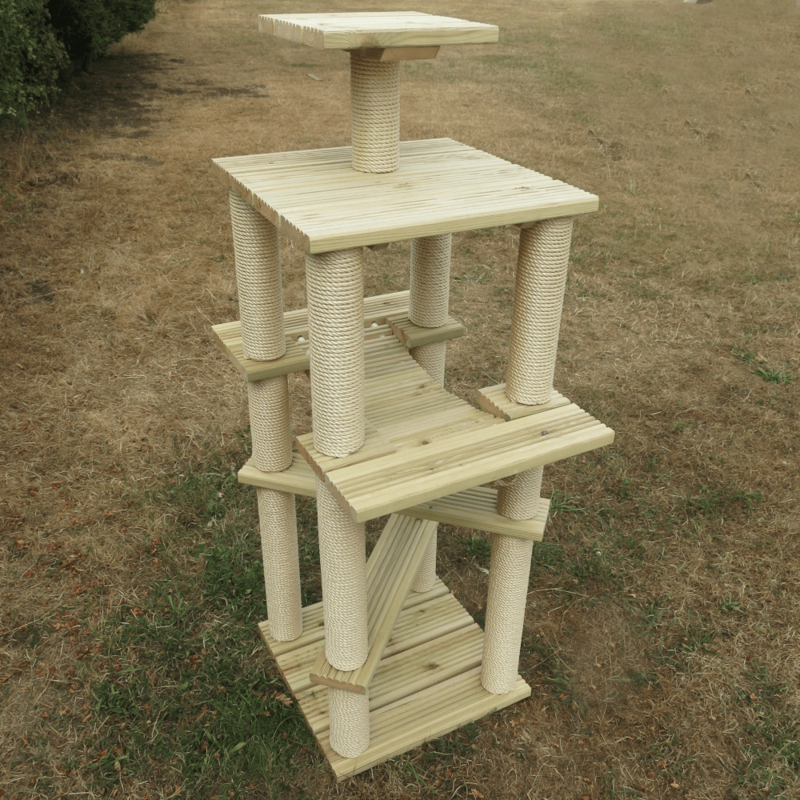 Any orders placed now will be made in March 2019.